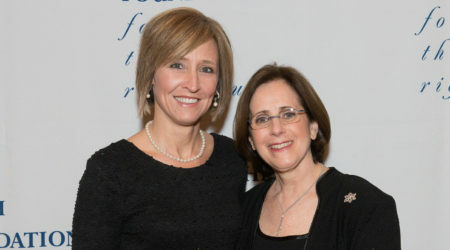 The Jewish Foundation for the Righteous (JFR) is committed to teaching the history of the Holocaust and to preserving the legacy of Righteous Gentiles, non-Jews who risked their lives to save Jews during the Holocaust. We do this through our Holocaust teacher education program. educational seminars, institutes, and workshops for teachers and students. The JFR education program educates middle and high school teachers from across the United States and Eastern Europe as well as U.S. Holocaust center personnel about the history of the Holocaust, rescue, and the context in which these heroic rescuers acted. To provide high quality Holocaust teacher education that runs the gamut from an introduction of the subject to intense study at residential seminars and institutes. To improve Holocaust teacher education by working with established Holocaust centers across the country and to complement the efforts of other organizations working in the field. To expose teachers to the best in current scholarship on the Holocaust, to develop their knowledge of the subject, and to treat teachers as serious learners and educators. To develop a skilled network of teachers who teach the history of the Holocaust and rescue. 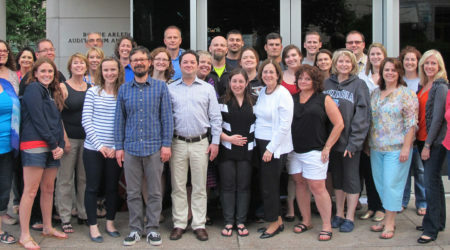 As a result of our program, there is now a cadre of over 600 master teachers from across the U.S. and Eastern Europe who have a firm grounding in the history of the Holocaust and the subject of rescue. These teachers are now in a position to teach their peers as well as generations of students about the Holocaust. With the generous support of the Conference on Jewish Material Claims Against Germany (Claims Conference), the JFR has had a widespread impact on Holocaust education throughout the United States. On October 23, 2002, The Jewish Foundation for the Righteous lost a dear friend, Alfred Lerner. Mr. Lerner was the founding chairman and chief executive officer of MBNA Corporation. He was a trustworthy advisor and generous supporter of the JFR from its early years, and it is to him that we owe much of our success in achieving our mission. We are honored that the Jewish Foundation for the Righteous was high on his list of causes. The JFR conducts a program of teacher education in Holocaust studies each summer at Columbia University. 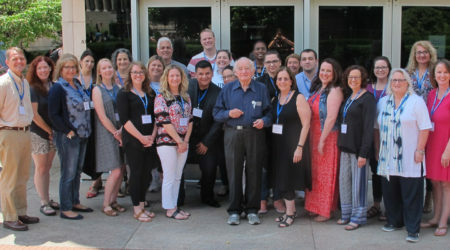 In tribute to Al Lerner’s commitment to the work of the Foundation and in particular to his special interest in Holocaust education, we are pleased to announce that all of the teachers who attend the annual Summer Institute for Teachers are known as Alfred Lerner Fellows. It is both a pleasure and an honor for the Foundation to confer on each of these teachers the privilege of bearing the name of our beloved friend. We are grateful for Alfred Lerner’s wisdom, compassion, and support. To date there are more than 600 Alfred Lerner Fellows. To find out more information about becoming an Alfred Lerner Fellow, see our Holocaust Centers of Excellence page, or our Seminars and Institutes page. The JFR launched its national Holocaust teacher education program in June 2000. The program takes into account the diverse nature of education in the United States as well as the expressed needs of teachers and Holocaust center staff. The JFR’s education program is centered on three key elements: 1) educational materials; 2) a network of Holocaust centers; and 3) JFR sponsored educational programs. The JFR’s education program is comprehensive and far-reaching. It includes a summer residential program, an advanced seminar, an educators’ study program to Germany and Poland, an academic newsletter, and partnerships with Holocaust centers throughout the country. The cornerstone of our program is the book How Was It Possible? A Holocaust Reader, introduced and edited by Professor Peter Hayes, a leading Holocaust historian. The JFR is in the process of publishing a companion book to How Was It Possible? This second book will provide resources and ideas for the teacher to integrate the knowledge obtained from How Was It Possible? into the classroom. JFR staff is available to assist educators with information and resources on teaching the Holocaust in their classroom. Please contact Stanlee Stahl at 1.212.727.9955 or e-mail her at sstahl@jfr.org.